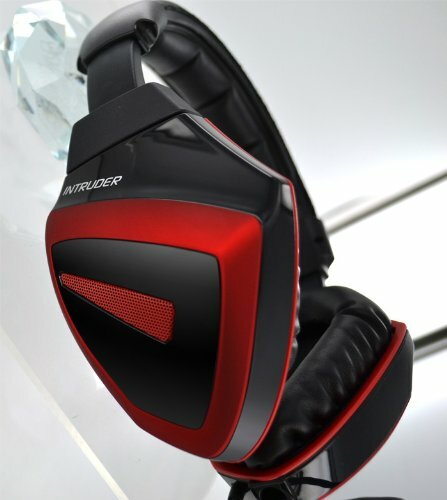 Next up for our headphone reviews is the Intruder Gaming Headset from TekNmotion. 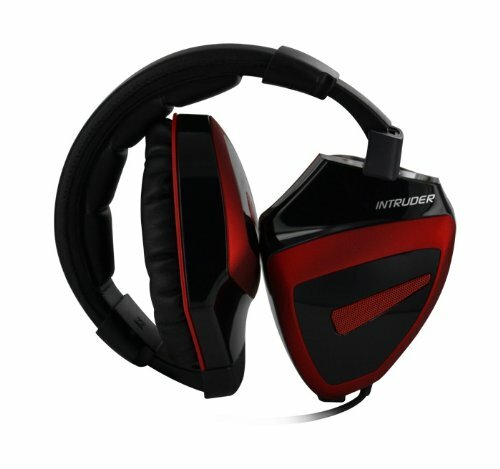 Do not be confused by the “Gaming Headset” part of the name though as these are capable of much, much more. These headphones come with a number of cable, adapters, and microphones so they can be used for whatever you desire whether it is iPod, iPhone, tablet, smartphone, PC, and Mac. Along with being over the ear headphones, the cups cover your ears to provide comfort for long use and noise reduction. 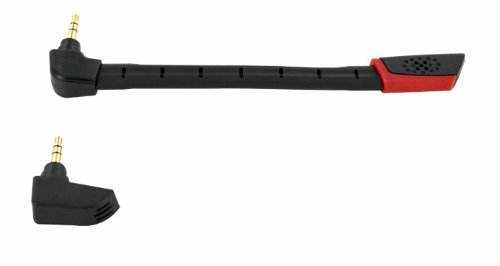 Included with the headphones is a microphone for gaming, microphone for mobile, in line volume control, travel bag, breakaway cable, and connection for computers via 2 3.5mm jacks. Now let’s get to how they hold up under pressure. For one, these babies are comfortable. With the large cups, the cushion goes around the ear which not only keeps the pressure off your ears to allow prolonged use without discomfort but also eliminates a lot of outside noise. The Intruders also put out a lot of sound but the range of bass is probably the best part of the unit as you can crank them up without distortion. They come with a wide range of adapters making them an easy go-to when it comes to private listening while online PC gaming, watching shows or movies while not disturbing others, and just listening to your music the way it was intended. Unfortunately they aren’t without flaws as there are a couple things that stood out I wasn’t a fan of. First is the sound bleeding, though when on your ears it is greatly reduced, but when the volume is halfway up, people can begin to get hear some of your playlist you had hoped to keep your dirty little secret. Though they do fold up nicely for portability, the plastic build still feels a little cheap and makes me worried about cracking to the hinges from the stress. Lastly, the highs are a little muffled, about on par with head phones of the same value, but if you have done your research there are others out there that have better clarity, but do not compare with the bass these put out. All in all, I was pleasantly surprised by the cans. No they will not replace my Bose in ear buds, but when I know I will be listening to for long amounts of time and looking for multiple applications, these are my go to over the ear headphone. They look smooth even though you will be cleaning smudges from them quite often. 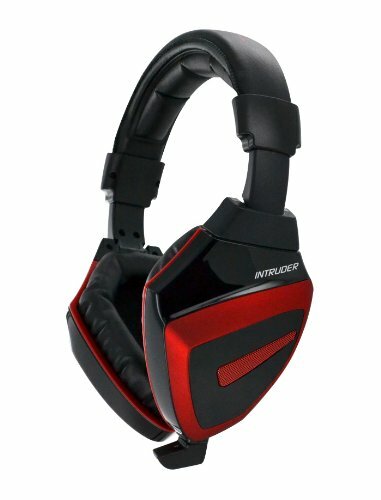 For their price point, $59.99, they are a good buy for the sound and uses, and a huge upgrade for those still using the headphone that came with your iPhone or MP3 player.